So far over 24,000 Degar Montagnard Christians from Vietnam have joined and some 1000 from North Carolina. The Montagnard Foundation announces the establishment of the Sang Ae Die Degar church, which means Church of the Degar (Montagnard) People. Our Church is a Christian denomination that believes in the basic principals of Christianity. 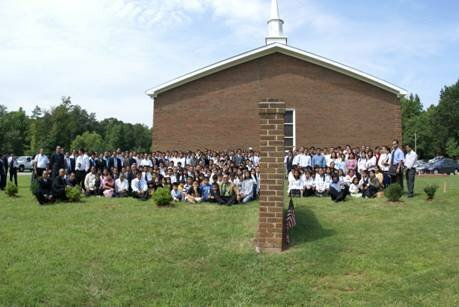 While our physical Church is located in Greensboro, North Carolina and we are free to practice Christianity in the United States, inside Vietnam our people are persecuted, tortured and even killed by the Vietnamese authorities. At this moment we have hundreds of religious prisoners in Vietnam’s prison and yet over 24,000 people from hundreds of villages in Vietnam’s Central Highlands have courageously joined our Church in defiance of Hanoi’s threats. We state clearly that the Vietnamese government has nothing to fear from us and as Christians, all we want is to peacefully co-exist in Vietnam as equal citizens with all Vietnamese people and our desire is purely human rights and religious freedom. We also have over 1000 Degar members who live primarily in North Carolina. We call the Vietnamese government to officially recognise our Church and cease persecuting our people. We also call on the US government and international community to acknowledge our right to peacefully practice our religion according to international law.